The holiday music is piping through the office and lights are twinkling throughout. It's that time of the year when we like to put together a list of our favorite gifts, not unlike Oprah! We queried the office again this year to see what everyone was hoping to receive or excited to give to friends, family and anyone else that made the "Nice" list this holiday season. Micro Video Camera. 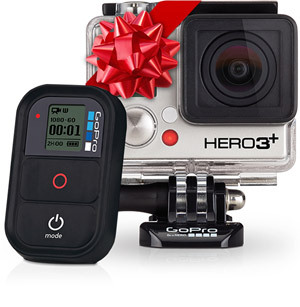 GoPro's perfect-for-giving packaging and product bundles by activity make it a no-fuss option any outdoor enthusiast would enjoy, starting at $199.99. Media Streaming Adaptor. 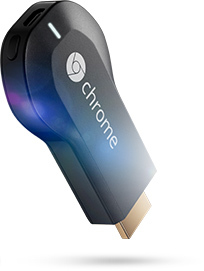 Several of our team members here at Kuno told us they would be purchasing Google ChromeCast for themselves and for gifting this holiday season. This miniature device allows for streaming from your handheld devices to your television. Simply plug in, connect to WiFi and you're streaming your small screen entertainment onto the big screen for just $35. Plus you get a $6 Google Play movie rental credit (see link for details) and no remote needed! Fitness Bracelet. The Amiigo Fitness Bracelet tracks individual sets, reps, blood oxygen level and much more in a slim $120 wristband to track your personal activity and health stats. Activity Monitor. For something a little less complicated, you may want to try the Nike Fuel Band. You'll pay about $30 more, but we've heard the ease of use is worth the price. Personal Activity Tracker. For a more fashionable option, try Misfit Wearables to track and monitor your activity on your lapel, on a wrist strap or even dangling from a necklace. The device without accessories starts at $120. 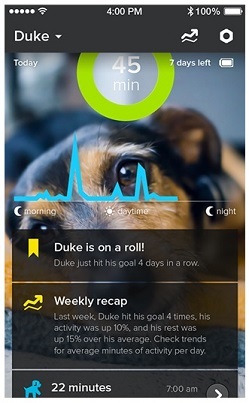 Dog Activity Monitor. Why stop with your own monitoring and documenting devices when you can fit Fido with his very own? The $99.95 Whistle Activity Monitor simply slips onto your pet's collar and you can collect data to monitor for health issues, measure goal success and even share your pet's activity. Secure Portable Storage. 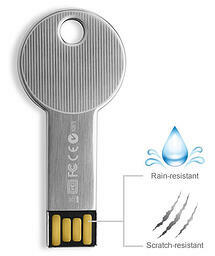 Starting at just $24.99 for 16G, LaCie CooKey gives you water and wear-and-tear protection, as well as data protection. Whether transferring documents or backing up photos, this handy little storage device allows for data encryption and online backup, and also can be used to lock/unlock your computer. Portable Location Device. Tile, "the world's largest lost and found," helps you locate your belongings from an App on your mobile phone so you can track down errant laptops, keys or anything you attach the tag to. Pre-orders for March 2014 shipment are now being accepted starting at $19.95. Headphones for Sleeping. SleepPhones HeadPhones are just $39.95 for the wired version and $99.95 for BlueTooth-enabled. We suggest the wireless for maximum comfort while snoozing. Extra-Long Charging Cable. A perfect second gift to go along with the SleepPhones above—a 10-foot charging cord from LongerCables.com priced at around $14. These colorful nylon braided cables will keep your phone closer to you, leaving you feeling less tethered to the nearest outlet, and clearly identifying whose cable is whose. Customized mobile device cases. 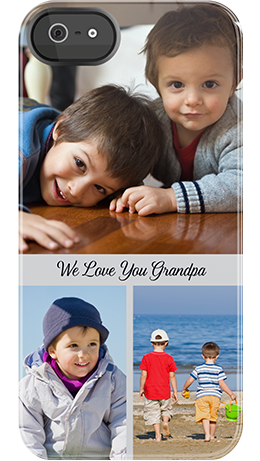 Uncommon, a popular quality brand for cases, let's you upload photos, use their templates or choose an image from their gallery of gorgeous textures and patterns to create a unique and thoughtful customized device case for gifting. $34.95 for iPhone, $59.95 for iPad. Charging Station. De-clutter your office or kitchen counter with this handy and stylish Bamboo charging station. What we liked about this particular model is the large capacity for holding and charging several items, for just under $35. Wireless Speakers. Sonos Wireless HiFi syncs from room to room unleashing your playlists and radio stations wirelessly. Order a single unit for the kitchen, expand to create a multiple room system or create a complete home theater setup starting at $199. Portable Wireless Speaker. From the beach to the golf course, anyone who loves music will appreciate a personal compact speaker. 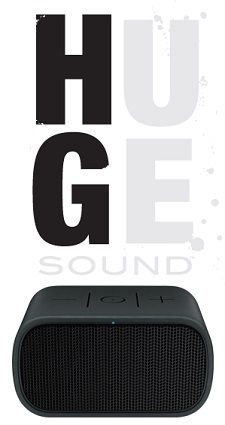 Mini Boom Ultimate Ears are available in a variety of colors and are budget-friendly at just under $100. Handheld GPS Device. For those times when you’re not connected but don’t want to get lost, try a Garmin handheld GPS device, starting at $109.99. Garmin also provides a free app for recording and sharing your adventures. USB Lightning Cable. Charge Card for iPhone and iPad eliminates the need for your standard charge cord, for on-the-go juice and syncing. Simply slip it in your wallet and forget about it. A bargain at $25. Portable Charging. The Eton Boost Turbine Hand-Powered Backup Battery will give you enough power for approximately 30 seconds of call time for every minute cranked, priced at $59.95. The standard USB port will allow for most small devices to be charged in a pinch with this handy device. Plus, as one commenter noted—you can burn some calories in the process. A Panoramic Camera. Have you ever wished you were able to capture 360° x 360° panoramic images? Well, your dreams just came true. For $559 you can own or gift the Panono Panoramic Ball Camera. Start working on your catching skills and we'll be waiting for those pics! If we missed any noteworthy items, please share them with us in the comments! 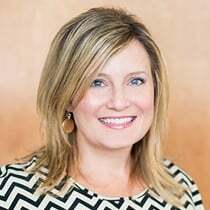 Vanessa Knipper is the Director of Marketing at Kuno Creative. She enjoys writing about social media and marketing trends. Vanessa is an avid reader of tech blogs and industry news, which she shares regularly on Twitter and LinkedIn.